Planning on which restaurants to visit in Berlin in September? My suggestion: Visit one of the restaurants participating in the Stadt Land Food Menü! With the Stadt Land Food festival only a week away (October 1st-3rd), you’ll have the possibility to experience a whole new side of some of Berlin’s best restaurants. 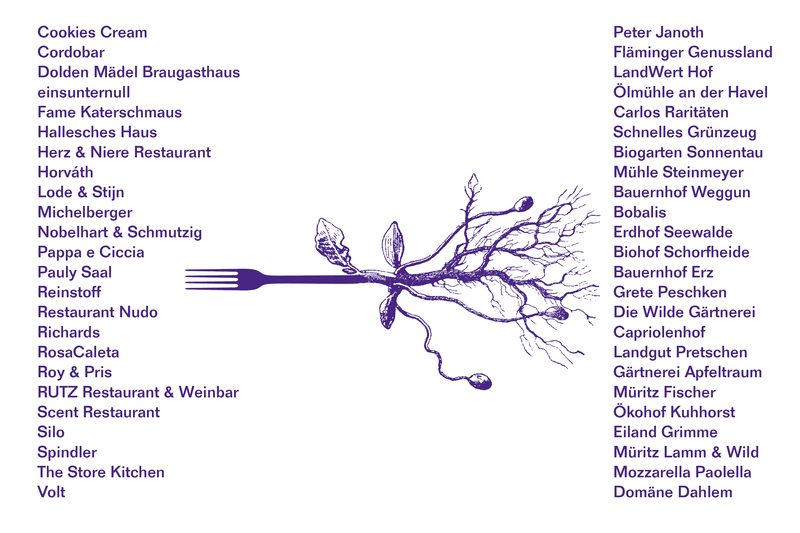 In a unique project conceived by the “Gemeinschaft für gute deutsche Esskultur” (a group of restaurants led by Nobelhart & Schmutzig, einsunternull, HORVÁTH and Ernst) and the Stadt Land Food team, 24 of Berlin’s best restaurants will team up with one regional producer each and offer a menu dedicated to showcasing the produce of their respective producer. True to the recently released manifest of the founding restaurants, the Stadt Land Food Menü is all about empowering local producers, encouraging a dialogue between producer and restaurant and, ultimately, contributing to the cause of giving German gastronomy a face and identity. Find below the participating restaurants along with their producers. To book the menus, please reach out to the restaurants directly and book a table between Monday September 26th and Sunday October 2nd. GUTEN APPETIT!